I sha'n't be gone long.--You come too. Minnesota author-turned-Sun City resident, Roger Storkamp, recently unveiled Showgirl Memoir, co authored with Mikel Peterson whose journey included the 1984 and 1988 Olympic opening ceremonies, on to Jubilee Showgirl and beyond. Roger's fiction novels, a trilogy of two Rural Minnesota families and a space travel adventure, formed the core of his hobo books, not stories about hobos but books as hobos passing from reader to reader. Inspired by his vagabond life style, he set his books free with instructions to report back to their author, somewhat like a message in a bottle concept. His hobo books have documented travels across the United States and abroad. One of his hobos, THELMA'S QUILT, returned from Venice, Italy, with a reader's message of concern about its sexual content. Private Richard Leslie, Roger's memoir of his father-in-law's WW II experiences, has been expanded to include Richard Leslie's life before and after the war. The war version is available presently, and the expanded version will be published by North Star Press in Minnesota next year. 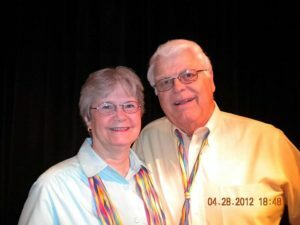 I met Roger at the Sun City Writer's Workshop, and he agreed to share his life and his latest work. He considers Showgirl Memoir his best creation, and the time and effort he and Mikel have spent over the past year reveals the quality of each of their characters. He was impressed by the tenacity and struggles of a young lady who struggled, survived, and thrived throughout a controversial career. The choices and obstacles she faced are framed by the impending death of her mother. It's a compelling and interesting tale of a Jubilee showgirl who managed motherhood and fought through some difficult relationships along the way. You may know Mikel, as she teaches water aerobics here in Sun City. In addition to Jubilee at MGM, she has danced at many top-named hotels on the strip including Siegfried and Roy, but her story is much more than the chronicles of her showgirl days. It's about saying goodbye, Mikel's farewell to her beloved mother to whom she has dedicated her book. This was the event that inspired her to put the story to paper, and Roger was just the guy to do it. Roger was born and raised in Pierz, Minnesota, a Catholic German community, and attended their parochial high school. His afterschool employment history began in grade school hiring out on his uncle's farm, on to detailing cars at the Ford dealership, tending bar and flipping hamburgers at a local pub, and throughout high school, spending summers with the county survey crew. From a family of eight kids, five of six remaining siblings still reside in Pierz, he didn't have the means to go to college. Fortunately, the former mayor of Brainerd, Minnesota, invited him to attend Brainerd Junior College, and he hired Roger to clean his mercantile store each morning. He also offered room and board for remodeling the den in his attic. Roger went on to earn his B.A. Degree at Minnesota State University, St. Cloud, while managing the Paramount movie theater. He met his first wife, Barbara Mack, during this time, and they married shortly before graduating. He began his teaching career in prison, the Minnesota State Reformatory for felons his age and younger, one teenager incarcerated for killing his teacher with a scissor. Roger said he shied away from cut-and-paste learning activities. He'd use those acquired skills to develop programs addressing dropout prevention and ultimately a program for students who had already left the mainstream. He spent the bulk of his thirty-five-year career at White Bear Lake, a suburb of St. Paul, Minnesota. Roger earned a Master of Art Degree at the University of Wisconsin and his doctorate in curriculum and instruction from East Coast University in Florida. He's an admitted learning junkie attending summer programs at Pepperdine, Fordham, Nova, Universities of California, San Diego, Texas, Minnesota, and Alaska. 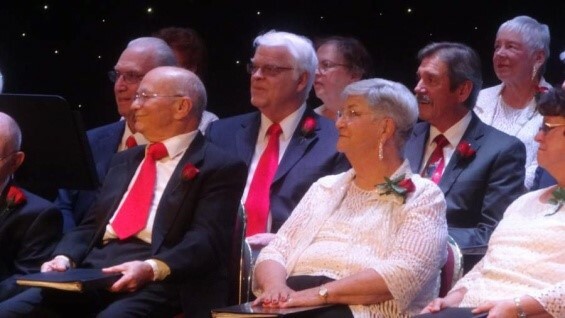 Each summer, he and Barbara with their two boys, Daniel and Darren, would move into the family travel trailer and locate near or at the university where Roger and sometimes Barbara would attend seminars. Presently, Daniel is an assistant to a Minnesota state commissioner, and Darren owns and operates a high-end daycare/learning center in a Minneapolis suburb. Roger speaks openly about his chemical addiction, but considers it a behavior problem more than an alcohol problem. At the cost of his marriage, he entered into various business ventures, not all of them successful or even sensible. 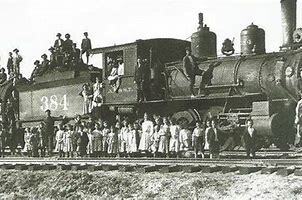 At age thirty, he joined two younger brothers in a business crushing and hauling gravel, a risky investment for brothers with no experience and limited capital and a tendency to hoist-a-few after the machines were shut down for the night. After losing his father and two siblings to alcohol, the three remaining brothers have amassed over seventy five years of sobriety. Today, Roger is known to imbibe in an occasional glass of wine or bottle of beer. Roger's other business ventures included setting up and operating an educational program where teachers honed their classroom skills. As a professor in the extension program at United States University in San Diego, Roger could grant university credits to those successfully completing his program. His most successful venture beyond his career in education, one supplying Minnesota birch tree and branches to florists across the United States. He still maintains his supply connection and services half a dozen of his larger wholesalers. Attending floristsâ€™ conventions each June at the Las Vegas Convention Center to solicit birch customers acclimated him to the desert and the culture of our city. Shortly before his retirement from teaching, while visiting his sister back in Pierz, he asked about a neighbor who would have been a few years older than them. 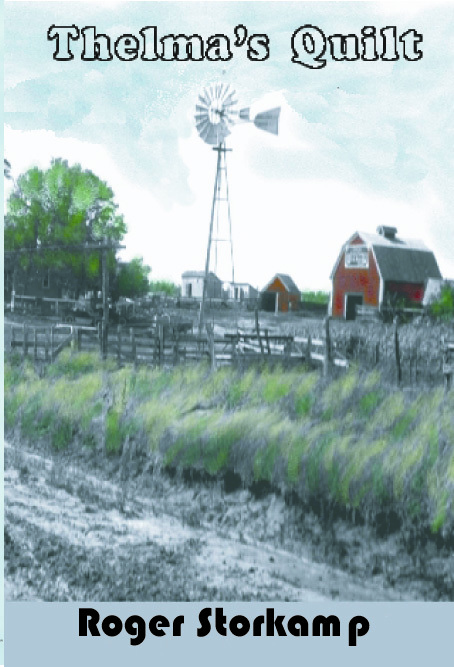 The jolt of that revelation set him to writing novels based in rural Minnesota where he grew up. Roger's first novel, THELMA'S QUILT, explored the motivation of his fictional character based on Henry. 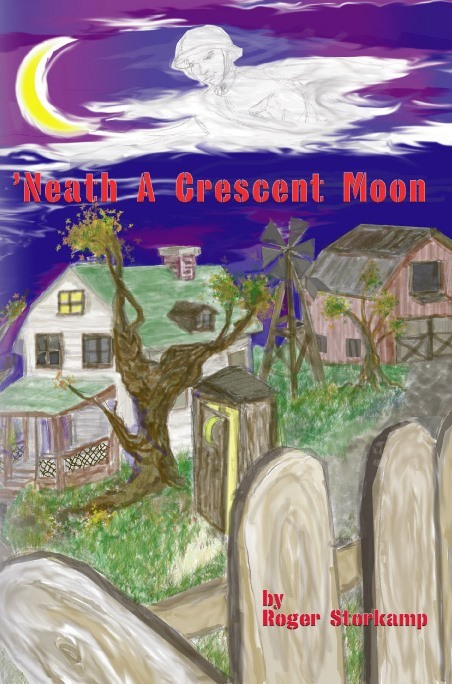 It took two additional novels, ˜NEATH A CRESCENT MOON and MISS WEST to put his two fictional families from Bovine, Minnesota, to rest. It was difficult to kill off those he loved, but they had gotten old and eager for eternal rest behind St. Alphonse Catholic Church. Roger and his wife, Laurie, have been married for twenty three years, the bulk of that time living in Las Vegas. Their four children and three grandchildren are thrilled to spend time with Grandma and Grandpa in their glittering city. In addition to spending four to five hours a day at the computer creating literature, Roger participates in number of Sun City clubs: Silver Tones, (having served as vice president and president) Music Makers, Writer's Group, and of course Waterobics where he met Mikel. His participation with Community Theater gave him the inspiration for his play, to be produced at the Las Vegas Little Theater later this year. He has also scripted his Bovine, Minnesota, novels into movie scripts. He participates in two book groups and a critiquing group to enhance his writing skills. He sings in the St. Andrews Choir. Roger's writing style is highly focused on dialog and character development. 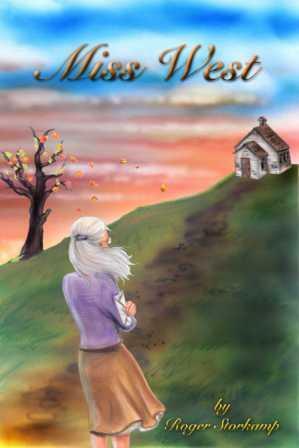 His most heart warming fictional character is Miss West, the schoolmarm who threads her way through the families of the previous two books. His most favorite real live people in his writing are Mikel Peterson from SHOWGIRL MEMOIR and his father-in-law from PRIVATE RICHARD LESLIE. His personal memoir has been put on hold while developing other people's stories. Roger and Laurie plan to do a homecoming, technically, a home returning, at some time in the future. He chuckled and admitted that they intend to be a burden on their four children and three grandchildren, Evan, Taylor, and Carter. Eleven-year-old Taylor (whom Roger calls genius) is also a writer. She calls from time-to-time to have Grandpa respond to her writing. Roger's son told him that after an extended phone conversation she said, "It's such hard work talking to Grandpa. " Roger claimed it was the nicest compliment she could give him. Information about all the books mentioned in this article is available at www.showgirlmemoir.com or www.booksandbirch.com. Better yet, take a shortcut by calling either author: Mikel at (702) 592-8747 or Roger at (702) 228-1477. We make home deliveries, Mikel in showgirl costume for anyone wanting to spice up a gathering of family or friends with a brief dance followed by Q and A. Author Roger Storkamp, left, and his co-author and subject of the book Showgirl Memoirs, Mikel Peterson. The two met in Sun City Summerlin, Nev. where they both live. 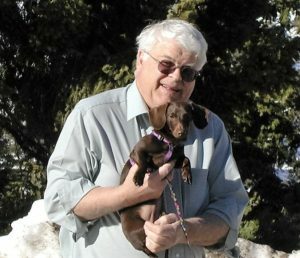 For Pierz-born author Roger Storkamp, writing novels often involves taking inspiration from the people and places in Minnesota he knows. Before he began writing books though, Storkamp was teaching others about them. For 35 years, Storkamp taught literature and writing mostly in White Bear Lake, Minn.
After retiring from teaching in 2000, Storkamp began writing a book. Storkamp said he took the places he grew up around and renamed them for his book. Storkamp said he thinks i's impossible, even in a totally fictitious book to come up with characters who are not at least composites of people a writer knows. "We can't escape it, that's how we relate to the world around us," Storkamp said. 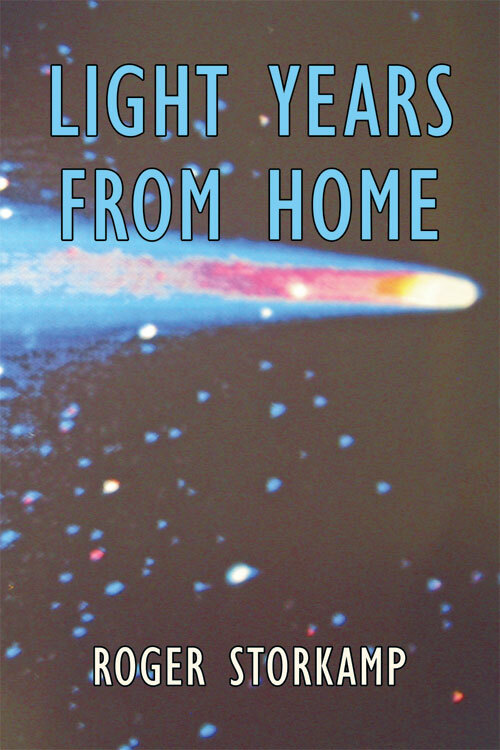 Storkamp said his first four books, the Minnesota Trilogy, Thelma's Quilt, 'Neath a Crescent Moon, and Miss West, as well as his science fiction novel, Light Years From Home, are all based on fictionalized real people. To create one of these characters, Storkamp would write the setting and then find someone who fit what happened. "I thought of an incident that took place with someone. In the first book, it was someone who committed suicide. I figured, what would cause that and then I put that into the Minnesota setting I knew back in the 1940s and 1950s, and started developing it from there." As he wrote the fictional character, Storkamp said real people would pop into his head and he would take parts of them to add to the character. This is different from his most recent book, Showgirl Memoirs, which was released last month. In it, Storkamp and his co-author Mikel Peterson, a former Jubilee Showgirl and two-time Olympic performer, wrote Peterson's memoirs. Storkamp and Peterson met at a party in Sun City Summerlin, Nev., where Storkamp has lived full time since 2005. Storkamp said this book, and the expanded memoir for his father-in-law that will be released next year, were the only two with real people in them. Storkamp said when he met Peterson in 2014, he realized he had to have the 52-year-old performer's story. 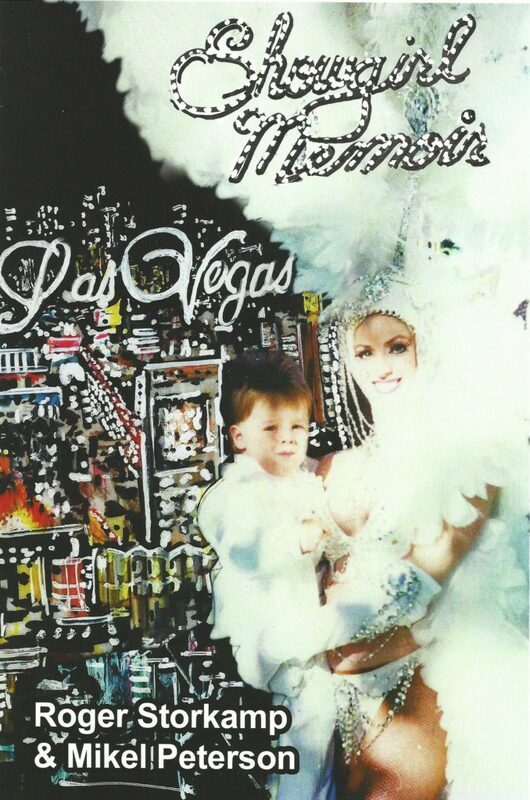 The book tells the story of Peterson as she went from living in a small town, to working as a performer in Las Vegas, Nev. Storkamp said the story covers both the successes Peterson has had, and also deep personal tragedies in her life. Storkamp said this book and the one about his father-in-law, each took about a year to be ready to be sent to the publisher. He said these took less time than his other books, because these had a set story. Storkamp said language is very important to a good story. "Language is the answer. It's language that makes a story great, not the plot." 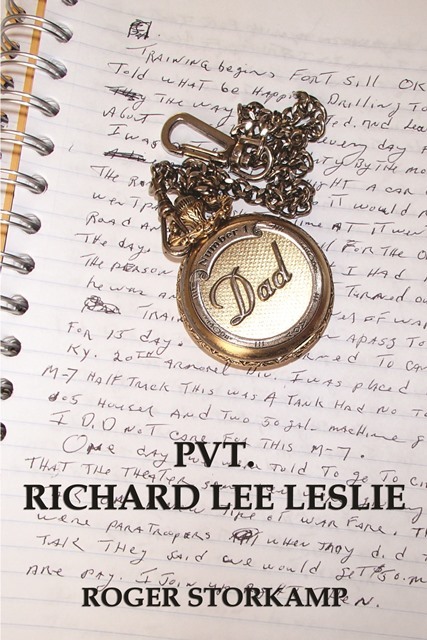 In August, 2017, the expanded memoir about Storkamp's father-in-law, Richard Leslie, Private Richard Leslie, is set to be published. A shorter version of the memoir, covering Leslie's time in World War II is available, but Storkamp said the expanded version will cover his life before and after the war. Storkamp promised the World War II veteran he would hold off on publishing it until after Leslie passed away. He and his wife were with Leslie when he died in 2013, Storkamp said. The 75-year-old author said he currently doesn't have plans for his next book, as he is focused on promoting Showgirl Memoir. He said a project he may be interested in doing would be a historical novel. All of Storkamp's books are or will be available at Great River Regional Libraries.